Hannah Clark has certainly earned, both literally and figuratively, the title of the "girl with two hearts" bestowed upon her by the media. When she was just two years old, she had the dubious distinction of becoming the first person in Britain to possess a "piggyback" heart. For more than a decade, Hannah lived on a potent cocktail of medication designed to stop her body rejecting her second heart. But suppressing her immune system in this way made her susceptible to infections and, by the age of 12, she had developed cancer. During chemotherapy, her body began to reject the donor organ which led doctors to take the dramatic decision to remove it. Through all this, although she lost her second heart, Hannah didn't lose heart. Now, aged 16, she has fully recovered, her doctors said in a recent article in the Lancet. This is a truly heart-warming testament to the power of modern medicine to turn tragedy into triumph. And I could not help feeling a little rush of pride that the doctor who made all this possible was an Egyptian: Magdi Yacoub, who is actually also a neighbour of sorts, as his Cairo home overlooks my family's. Dishearteningly, and almost inevitably, Yacoub, the son of a surgeon, did not find his success in Egypt but in Britain, where he built up a career as one of the world's most pioneering heart surgeons and researchers. Dubbed the "King of Hearts" by the Royal Society, this naturalised Brit did not usurp the throne but he did receive a knighthood. And numerous other examples abound of Arab minds – such as the Nobel prize-winner Ahmed Zewail – deserting the Arab science desert and thriving elsewhere. Why is it that a region that was once the world's scientific powerhouse has now become its outhouse? In an article last year, I explored some of the reasons which included: "The dominant patronage culture in academia, the shortage of research funding, the almost complete absence of private research, the difficulty of registering and protecting intellectual property, as well as the rote-based education system." 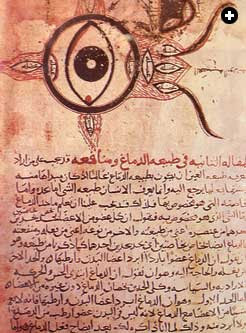 Some experts observe that Islam's scientific heritage equips Muslims to look positively upon modern science. In fact, many Muslims believe that modern science confirms the Qur'an. "In those countries where fundamentalism has taken hold among the youth in the universities, it is striking to observe that the fundamentalist students are in a majority in the scientific institutions," says Farida Faouzia Charfi, a science professor at the University of Tunis. "[Islamists] want to govern society with ideas of the past and the technical means of modernity." But this selective interest in science is a double-edged sword because it encourages people to disregard inconvenient scientific truths if they conflict with or contradict their faith. Attitudes aside, another important factor that is often missing from the equation is the simple question of resources. I think it's no coincidence that the start of Europe and the west's golden age and the Arab and Muslim world's gradual decline occurred at about the time when Muslims ceded their grip on global trade to Europeans who also "discovered" a resource-rich "new world" in the process. But things are looking up, according to Nadia al-Awady, a freelance science journalist based in Cairo. Writing in Nature, she links the surge in science coverage in the Arab media with a related boom in Arab research and development activities. Since 2006, there has even been an Arab Science Journalists Association (ASJA). "Although the science staff of media organisations in the United States and Europe face cutbacks, a survey of ASJA members in January 2009 indicated that full-time jobs for Arab science journalists have remained relatively stable over the past five years," reports al-Awady. However, quantity does not always mean quality, as al-Awady herself freely admits. "As I sit at my desk in Cairo, it is easier for me to know what is happening in American universities halfway across the globe than to know what is happening within the walls of Egypt's National Research Centre just across the street… Another problem for science journalism stems from a more general issue. Many media platforms are government-owned and, as a result, many journalists provide uncritical coverage of government announcements." In addition, for someone whose role is to be a chronicler of science, al-Awady holds some pretty unscientific views. Writing for Islam Online, she goes against the scientific consensus and describes homosexuality not as a natural sexual orientation but as an individual lifestyle choice or a psychological condition that can be "cured". More tellingly and even less scientifically, she cautions her readers, in case her scientific arguments have failed to persuade them: "Islam is a way of life. It is a system of beliefs based on divine revelation… As a Muslim, one cannot choose to follow parts of Islam and disregard others." This illustrates well how scientific truth is sacred until it contradicts the holier truth of the Qur'an. During Islam's scientific boom years, such an attitude could just about survive alongside scientific inquiry – although many of Islam's greatest scientists were sceptics, theists or agnostics. However, in the modern world, science fact increasingly contradicts religious myth and, for the Arab world to advance, it needs not only to invest more in research, it also has to hold universal truths above religious ones.